If you wanted to invite a few historical figures to a friendly party, Martin Luther might not be high on your list. With a reputation for being temperamental, coarse and argumentative, he could have put a damper on the most jovial of festivities. His greatest debate was with the medieval world's most powerful institution. And while his energetic personality gave him resolve, it did nothing to win him favor in the eyes of those he opposed. His stubborn stance nearly cost him his life, and it changed the Western world forever. Luther was born on November 10, 1483, into a world that was dramatically expanding its mental and geographic horizons. Explorers were proving that the world was larger than had been previously thought. In addition, Europe had just witnessed one of the most important inventions of all time, Gutenberg's movable-type printing press, which fueled new thinking and sowed the seeds of today's knowledge explosion. Gutenberg began using his new invention to print copies of the Bible, access to which had previously been very limited. Some sources indicate that by the time of Luther's birth in the German village of Eisleben, his father, Hans Luther, was already an avid Bible reader. Be that as it may, the elder Luther was chagrined when his son chose to become a monk rather than a lawyer. Delivered from the thunderstorm, Luther made good on his promise. He joined the Augustinian order of monks and soon started work on his doctorate in theology at the University of Wittenberg. On a trip to Rome in 1510, however, he became offended at the corrupt practices he found there—particularly the sale of indulgences. Upon his return to Wittenberg, Luther began to reexamine his belief system as well as the practices and teachings of the church. His concerns were compounded by an internal struggle with guilt and fear. He had an exaggerated fear of death, no doubt because of the fate that the church taught awaited those who did not accumulate the necessary “good works.” His resulting sense of hopelessness led him to develop a theology of salvation by faith alone. Thus he launched the most famous theological debate in modern history: in 1517 Luther made public his 95 theses, and the Protestant Reformation began. For his heretical teachings, Luther was brought to trial by the Roman Catholic Church in 1518, and again in 1521 by the Holy Roman Emperor, Charles V. On both occasions he was ordered to recant, and both times he refused. After the second trial the emperor branded him an outlaw in the empire, and Pope Leo X excommunicated him. But before he could be sentenced and punished, he managed to escape to Wartburg Castle, where he hid for a year. During this seclusion he continued to develop his new theology. Luther, thwarted in his attempt to reform the church, found himself responsible for the establishment of a new one. And so Luther, thwarted in his attempt to reform the church, found himself responsible for the establishment of a new one. Today's ideals of liberation from oppressive government are deeply rooted in his work. Whether or not our democratic governments support Luther's theology, they owe much to his vigor in opposing such a powerful institution as the Roman Catholic Church. In addition, Luther's translation of the Bible into German is seen as the major contributing factor in the development of a common German language and, as such, is regarded as one of his few undisputed merits. At the heart of Luther's theology, however, lay a deepening resentment toward the law as set forth in the Scriptures. He tried hard to convert Jews, who still observed the law as outlined in the Old Testament, but to no avail. Toward the end of his life he became so frustrated that he began to develop the same kind of hatred for the Jews as was common in the society around him. In 1543, just three years before his death, Luther wrote a most condemnatory work, titled “The Jews and Their Lies.” In it he outlined a proposal to deal with them that subsequently fit comfortably alongside the Nazi philosophy that dominated Germany in the 1930s and '40s. In fact, at the Nuremberg Trials following World War II, some Nazi leaders actually cited Luther's writings to justify their crimes. Luther was keen, as he read the epistles of Paul, to appropriate any comment that appeared to be against the Jews. Even a cursory reading of Paul's letters, however, shows that Paul was always quick to stress the importance of the Jews and Israel in the plan of God. He never intended hatred to be espoused toward anyone, and certainly not toward his fellow Jews. Have Christianity and society in general been served well by Luther's ideas? Like most philosophies, Luther's was a mixed bag. He was successful in beginning a movement to reject repression. This eventually led to greater personal and religious freedom for us today. Yet by attacking God's law and those who were seen to uphold it, he became a proponent of misunderstanding and hatred. In the end, Luther's achievements—and his errors—have had a huge and continuing impact on history. 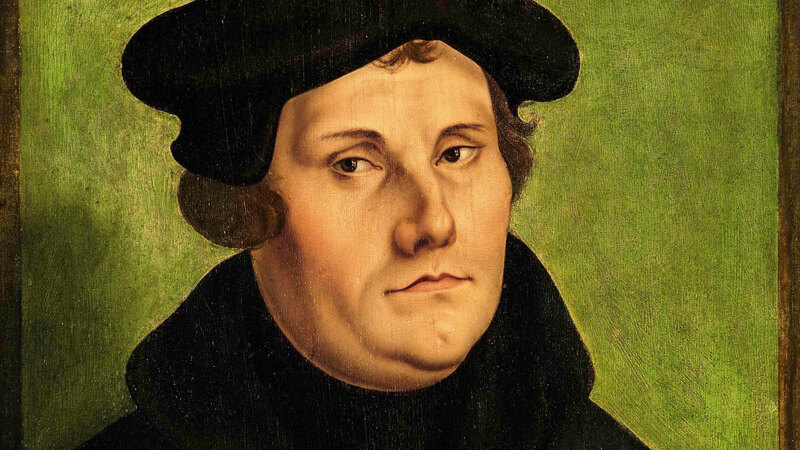 Martin Luther: Prophet of God?